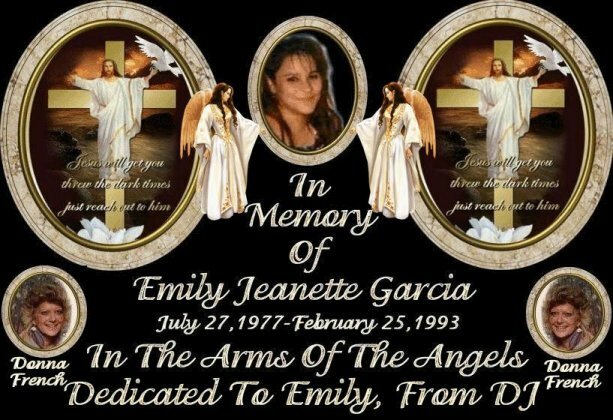 This poem was written by a very dear friend of mine in memory of my niece Emily Garcia. 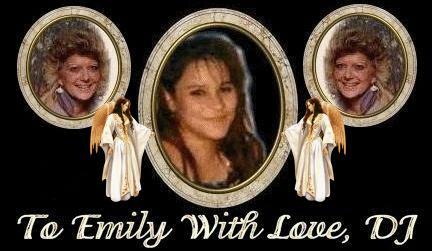 Thank you so very much, Donna(DJ) French and may God bless you & your family. Emily, we have so many questions, so much unknown, so many things left unsaid. We never thought for one second that was the last time we'd see you, that the next time we heard from you, you would be dead. Horror filled our minds as we were told the atrocities that had happened to you that day. Where were you for those 10 or so days you were gone? Who was holding you? Why? You couldn't get to a phone? We called all your friends to ask if from you they had heard? 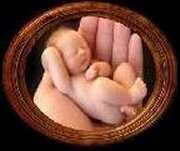 You already loved this little baby boy that was growing inside you, close to your heart. You had already named him, Emilio, right from the start. Who took these dreams from you, from us, All we know is you were killed, but, by whose hand? We looked everywhere for you but not one clue could we find. Where were you? Who kept you from us all of this time? Where was our baby girl, Emily? Was she cold, hot, hurting? Oh Lord, was she in pain? We just couldn't give up searching, nightmares filled our sleep. We would search every street, call everyone, Then we would just sit there, feeling defeated and weep. We waited daily for that call, but, when it came, we still couldn't believe. How could you have been found over a year ago and buried, nobody knew who you were, Our minds just couldn't of this conceive. They buried you in a potter's grave, none of your family was there. We were still searching for you, Emily, please know how much we care. If you can send us any answers, Emily, we have to know. We will keep seeking justice, for you, never letting go. We will continue to search for justice as long as we have breath. We will never give up our quest to find the one who killed you, the one who caused your death. Our Emily, Our Angel, Our own precious pearl.